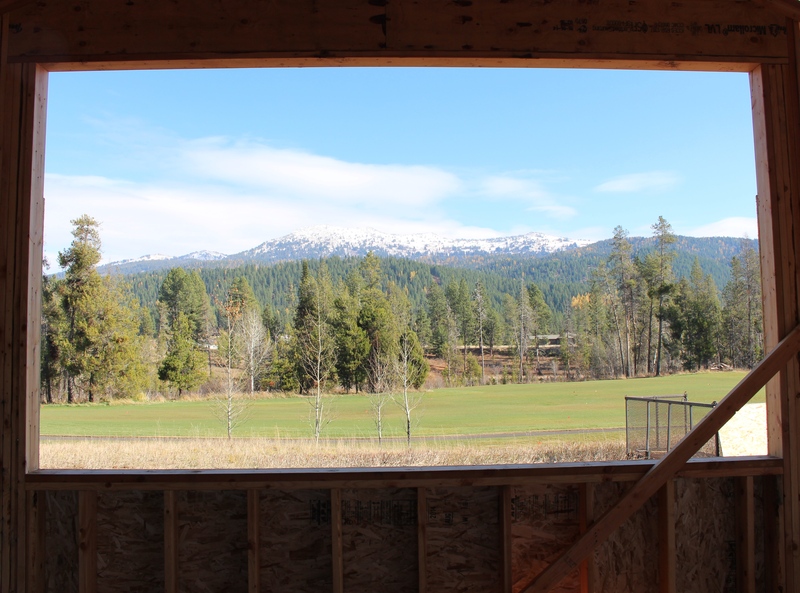 The temperatures are dropping in McCall and we have some pretty amazing features that can help you stay warm all winter in the Net Zero Home! Start with 12 inches of blown cellulose insulation between double stud, 12 inch R50 walls and R90 ceilings. 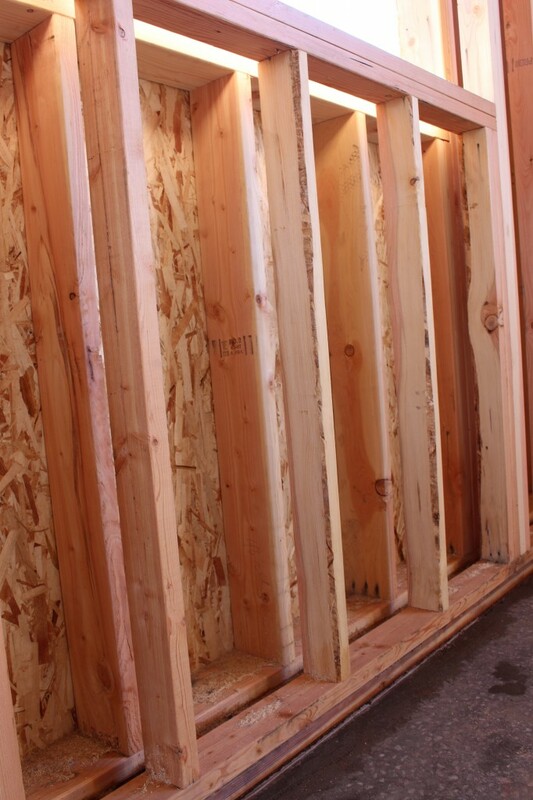 Wall detail with thermal break providing plenty of room for insulation and utilities. Pair that with a radiant floor and solar thermal system and you can count on staying toasty this winter. View looking east to Jughandle Mountain from the living room. Triple pane, Intus windows make sure no cold seeps in and keeps the house well insulated and draft free. Enjoy the great views of Jug Mountain and stay warm. We’ll show a detailed view of the windows and doors in our next update. Stay tuned. Framing and Trusses are installed before the rain and snow!